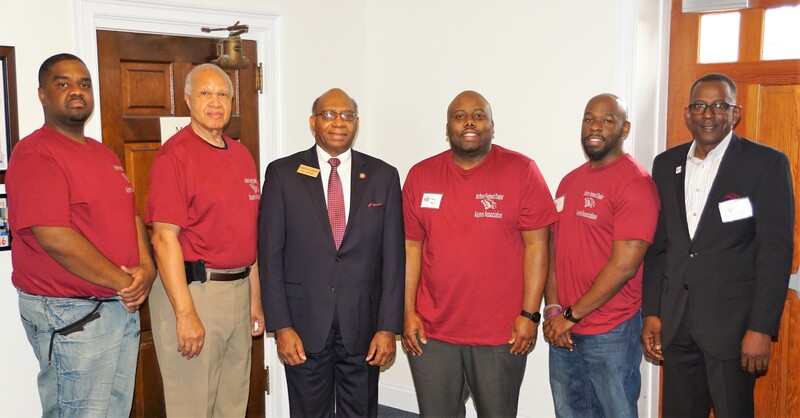 On March 09, 2019, from 9:00 A.M. to 4:00 P.M., our annual Region IV Alumni Conference will be held in Greenville, North Carolina, at the Cornerstone Missionary Baptist Church, 1096 Allen Road, Greenville, NC 27834. 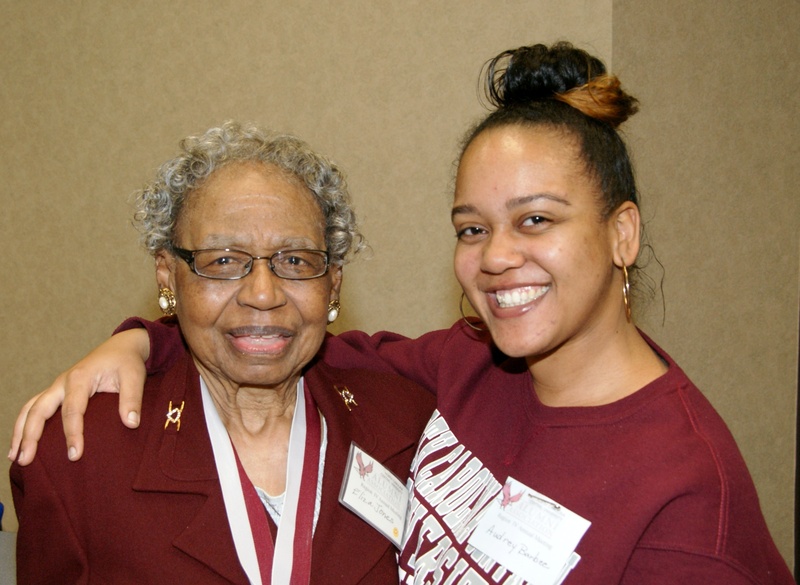 The Pitt County Chapter of the NCCU Alumni Association will be our host chapter. 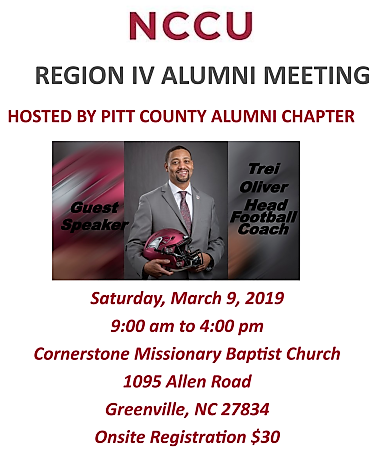 Our Guest Speaker will be NCCU Alumnus and Head Football Coach, Trei Oliver! 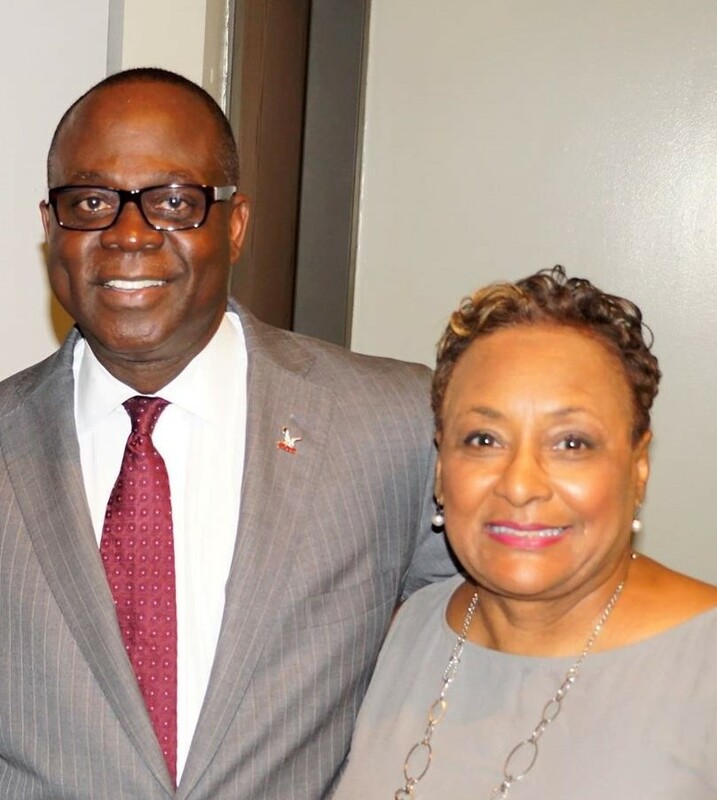 © Created and updated by Dennis W. Ellis. 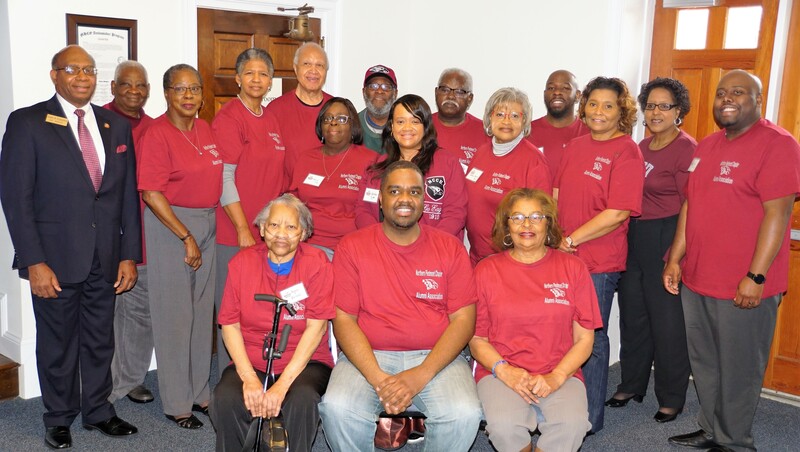 The Durham Chapter - is a non-profit (501)(3)(c) subsidiary of The NCCU Alumni Association, Inc.